Youngman products are all made with safety, innovation, integrity, and customer care in mind. Their products are designed for the trade professional and serious DIYer with high-quality in mind. We sell a selection of Youngman loft ladders in our online store for excellent trade prices.Sliding loft ladders are a simple and effective way to access your loft when space is limited and a conventional staircase would not fit. 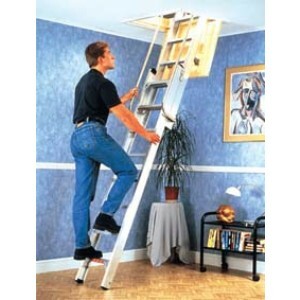 We have heavy duty and budget loft ladders. Sliding loft ladders are a simple and effective way to access your loft when space is limited and a conventional staircase would not fit. We have heavy duty and budget loft ladders, as well as a timber loft ladder.